One of the most memorable parts of Harry Potter and the Chamber of Secrets is when Ron Weasley opens a "howler" from his mother. A howler is a magical letter that loudly recites its angry message in the voice of the person who wrote it. Once its message is has been delivered, the howler bursts into flames and disintegrates to ashes. This delightful origami howler was created by Vitor Bravin. 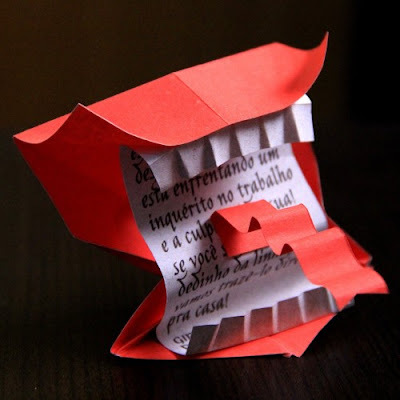 On his web site, Arte Potter, Vitor offers detailed instructions on how to fold the howler. He also offers two different printable calligraphy messages for inside the howler, one in Portuguese and one in English. The printable message duplicates the message received by Ron in Chamber of Secrets. Bravo! Here is another excellent Zelda papercraft from Otaku Crafts: a life size Majora's Mask. Love those vibrant colors! 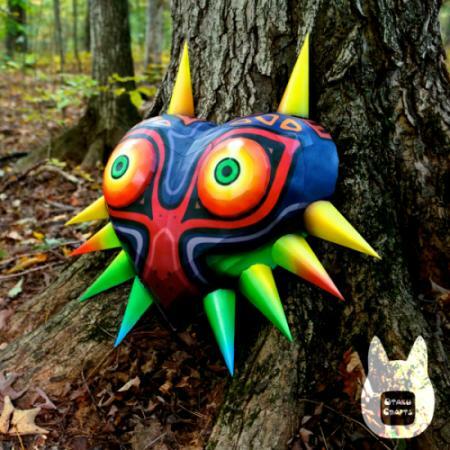 I also like that the mask is large enough that it can be worn as part of a Halloween costume (although it might take more than a single strand of elastic string to keep it on your face ^^). Pepakura PDO and PDF templates, as well as detailed photo instructions, are available here. 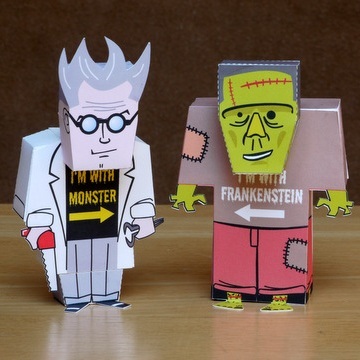 Last year for Halloween, Digitprop created a pair of Frankenstein paper toys. Based loosely on the appearance of the characters in the 1931 movie, Frankenstein, these toys leave no doubt as to who is Frankenstein and who is the monster. ^^ Templates for the toys may be found here. 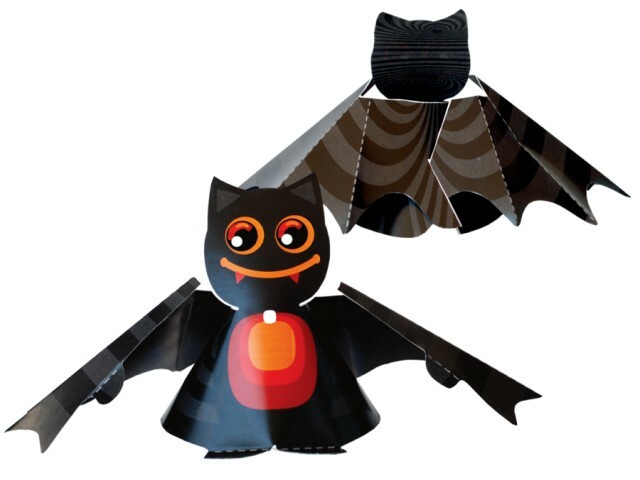 Here is an easy happy bat papercraft for children to make at Halloween. The bat has just one piece which is folded and attached together without glue to make what you see. In addition to the black bat pictured, there is also a white bat available. PDF templates for both bats are available at the Krokotak website. 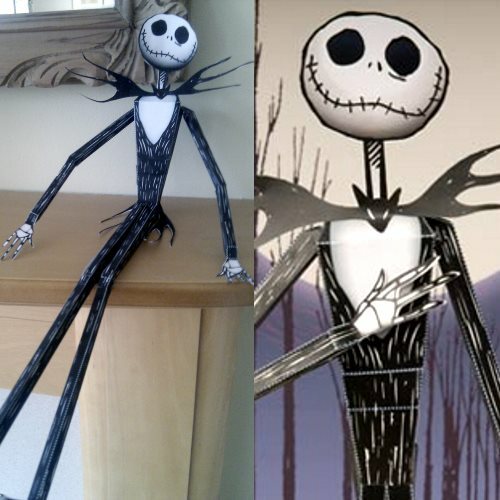 There are several Jack Skellington paper models around, but this is the first I have found that is an official Disney papercraft. It is available at the Disney Family website. Since the model is intended for children, some parts have been simplified, like the head which is 2D, unlike the body which is 3D. 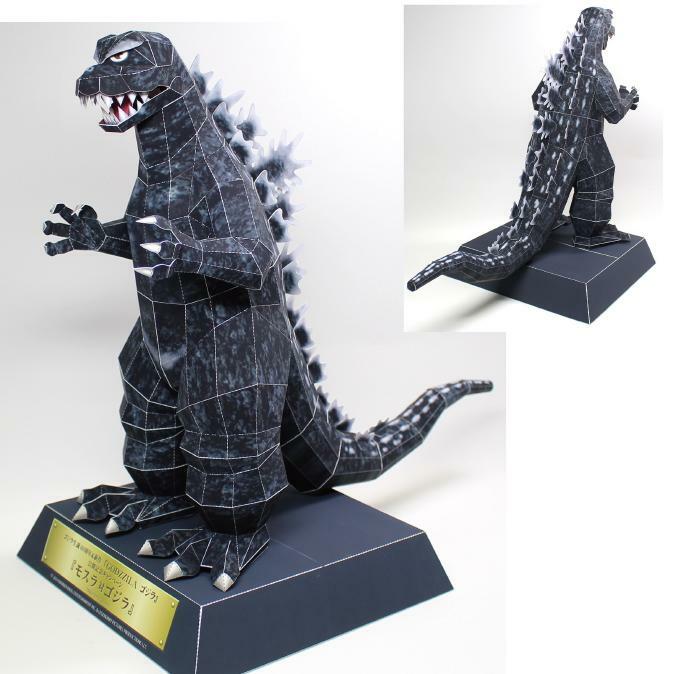 The finished model is 18" (45.7 cm) tall. Build photo is by Louise. Jack Skellington is the main character in the 1993 Disney stop motion movie, The Nightmare Before Christmas. In the 1987 Star Wars parody movie, Spaceballs, the character Lone Starr pilots a "space Winnebago" called Eagle 5. A paper model of the Eagle 5 was created in 2012 by papercraft designer, Squirmydad. Squirmydad's templates for both a 15mm scale model and a larger version may be downloaded here (look near the bottom of the page). The build photo above by DeviantART member, Dented-Rick, shows a "miniaturized" version of the model that can be achieved by printing the 15mm template at a smaller scale. UPDATE 10/15/15 - It has come to my attention that the model in the photo is not Squirmydad's design! It is a different model designed by Butch Price. The template for Butch's model may be downloaded here. Both are excellent models, but each has a slightly different appearance. 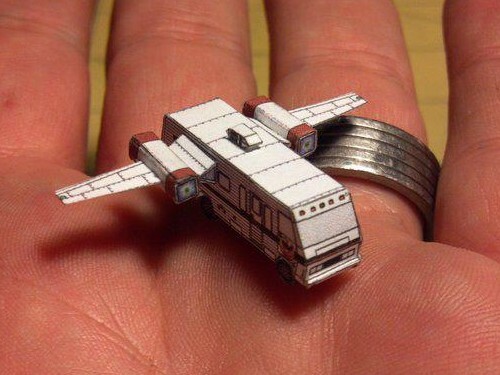 From what I can tell, Butch's model is closer in appearance to the actual Winnebago that appeared in the movie. Sorry for any confusion! 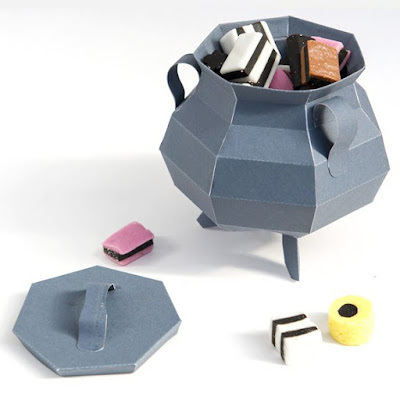 This nifty papercraft cauldron is just the right size to store a bit of candy on your desk for the Halloween season. The cauldron was designed by Rob Ives and is available for download at the Brother Creative Center. Ever since the time of Shakespeare's Macbeth, black cauldrons have been associated with witches' brew and the arcane work of alchemists. 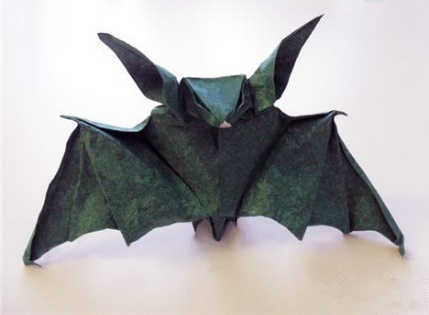 What better Halloween origami than a bat? Whoever folded this one did an exceptional job. I especially like how the eyes were achieved by creating voids at the folds in the head. The fold pattern for this bat is based on a pattern created by Georte Rhoads. Step by step instructions on how to fold the bat may be viewed here. In the early 80's, Marvel Comics introduced a group of teenage mutant superheros (and no they weren't turtles). ^^ The group was given its own comic series: The New Mutants. 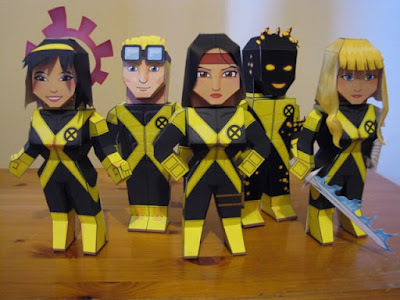 Designer Xavier Gale-Sides has created papercraft versions of each of the New Mutants characters. From left to right there is Karma, Cannonball, Moonstar, Sunspot and Magik. Templates for each of the paper toys may be downloaded here. Volume 1 of New Mutants was published from 1983 to 1991.